Mickey Mouse character travels through the Fun House, the Ocean, the Forest, the Pirate Ship, and the Castle in an effort to save a young girl that appears to be Alice from Alice in Wonderland. 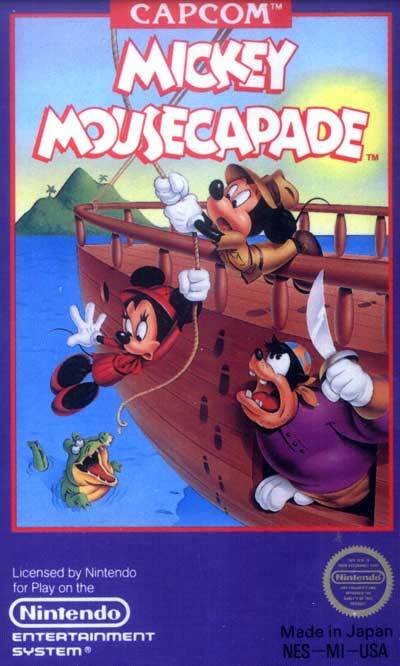 Minnie Mouse follows the character around, and occasionally gets kidnapped. Various villains from Disney cartoons make an appearance as bosses. The game was Capcom's first venture into what became a successful trademark of making Nintendo games based on popular Disney characters. Since Capcom did not actually develop this game, it lacks the overall quality of later Capcom/Disney titles such as DuckTales. The level design is rather lackluster and the game contains several sprites lifted from other Hudson Soft games.